Low fuss and high standards are the norm for spectacular sustenance in Orange County. Looking for a new go-to restaurant or want to eat like a local while in town for a weekend trip? There’s no shortage of memorable meals and award winning restaurants in Orange County, but sometimes that stomach rumble wants a fix from off the beaten path. Get ready to drool over three mouth-watering menus we’re highlighting as hidden gems in Hillsborough. Read on for some of the best kept secrets in Orange County, where you’ll be sure to get your fill of foodie-approved plates without aggravating waits. Radius Pizzeria & Pub: Radius boasts an unbeatable slice meal deal including one slice, a small mixed green salad and your choice of any fountain drink or iced tea for just $6.50. Single to-go slices for just $3 satisfy cravings on a budget, and the option to bring your own vegan cheese offers flexibility few pie-makers can top. Lunch specials and monthly events mean there truly is something for everybody at this family friendly favorite. 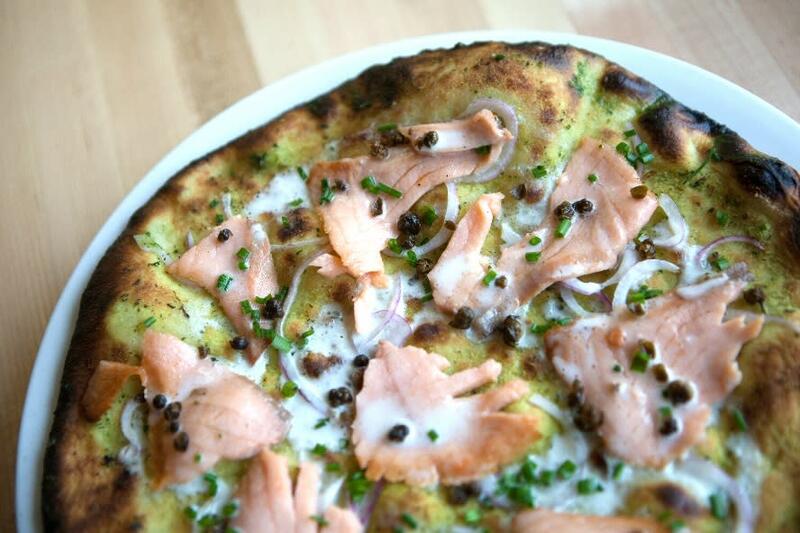 Hours: Sunday, Monday, Wednesday and Thursday 11 a.m. - 9 p.m., Friday and Saturday 11 a.m. - 10 p.m.
Radius’ wood fired oven-roasted Cedar Plank Salmon is a must-try. Served on a bed of arugula with pickled onions and dill cream sauce – you might want to double up as we bet you won’t be able to get enough. The Frontier pizza offers down-home-on-the range deliciousness including black pepper demi, wild mushrooms, gorgonzola, green onion and Vista Woods bison. A 12” pie only sets you back $14. Kids Make a Pizza: On the second Wednesday of every month, your kiddos can make a pizza with a Radius chef before joining Tim Wells for a sing-a-long in the Fireside Room or out on the patio. Music Night: Enjoy live, local music every Thursday from 7-9 p.m.
Family Date Night: Looking for a last minute babysitter? Radius offers the next-best thing. Your little ones can enjoy a kid friendly movie in the Fireside Room from 6-8 p.m. every third Saturday of the month while mom and dad chow down in peace in the dining room. Saratoga Grill: If you’re looking for delicious and reasonably priced cuisine (and who isn’t? ), Saratoga Grill has you covered. Providing a relaxed, welcoming environment with an inventive menu and attentive service is Saratoga Grill’s main priority, and they’ve got the art of appetite satisfaction down to a science. Reservations aren’t required, but they are suggested for lunch and dinner – and keep them in mind for parties and special events like showers, receptions, birthdays and more. Topped off with a catering offering and a selection of coupons, there isn’t much Saratoga Grill can’t do for you. Hours: Monday- Tuesday Lunch 11:30 a.m. - 2:30 p.m., Wednesday - Saturday Lunch 11:30 a.m. - 3 p.m and Dinner 5:00 p.m. to 9:00 p.m. Prince Edward Island Mussels are just one of the mussel items muscling up this menu. They’re a must. The ever-popular Honey Almond Salmon makes a great argument for an all-seafood diet. Entrees are served with potato, rice or a small garden salad, scones and rolls, so you’re sure to leave with a full stomach. They’re served with your entrée, but owner Colleen’s scone recipe is highly sought after. And her lips are tightly sealed. Burger and Beer Night: On Wednesdays, you can grab a burger and a beer for just $9.50. More in the mood for wine? Glasses are just $5.50 all day on hump day, too. Quench your thirsty Thursday cravings with half-price bottles of wine all day long. Village Diner: Comfort food, diner style: if that’s not enough to get you in the door for a dose of heavy southern tradition, we don&apos;t know what is. Passionate about both food and the community, Village Diner offers a full breakfast, lunch and dinner menu in addition to select beers and wines. Having undergone a recent renovation and management change, Village Diner’s menu and hours of operation are ever-expanding. Owner Joel Bohlin, however, has maintained the mission original owner Ethel Stansbury had from the beginning – to stay true to southern comfort food. 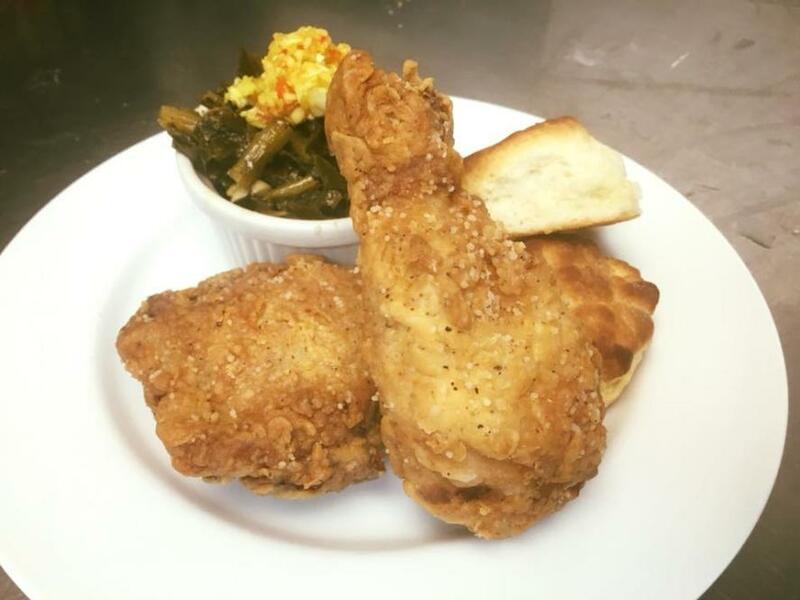 Hours: Wednesday 11:30 a.m. - 2:30 p.m., Thursday-Friday 7 a.m. - 2:30 p.m., Saturday-Sunday 9 a.m. - 2:30 p.m., Friday-Saturday 5-8:00 p.m.
Get a Fried Chicken Leg and Thigh with mashed potatoes, cane creek farm collards and chow chow with a country biscuit all for just $11. Aren’t you stuffed just thinking about it? Duke’s Mayonnaise Chocolate Cake with Fresh Cream couldn’t get more southern if it tried. And we really need to mention their Vinegar Pie, it gets rave reviews! With rotating beer taps and constantly changing entrees, desserts and more, there’s always something fresh at The Village Diner. Stay up to date by following their Facebook page. 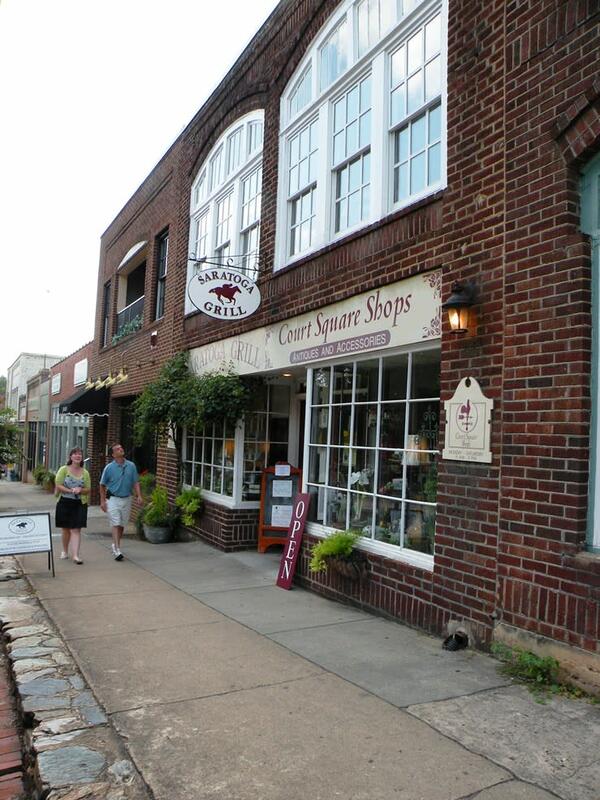 What’s your favorite hidden gem in Hillsborough? Comment below and let us in. We promise it’ll stay our little secret.